It appears that the game is set after the events of NecroDancer and Cadence finds herself in the kingdom of Hyrule after completing a mysterious crypt. At the Game Developers Conference event this morning, Nintendo shared which indie games have sold best on Switch up until now. But Nintendo's interest apparently grew beyond a simple DLC. According to both Cuphead co-creator, Jared Moldenhauer, and Nintendo's manager of publisher and developer relations, Kirk Scott, the collaboration "just kinda happened". 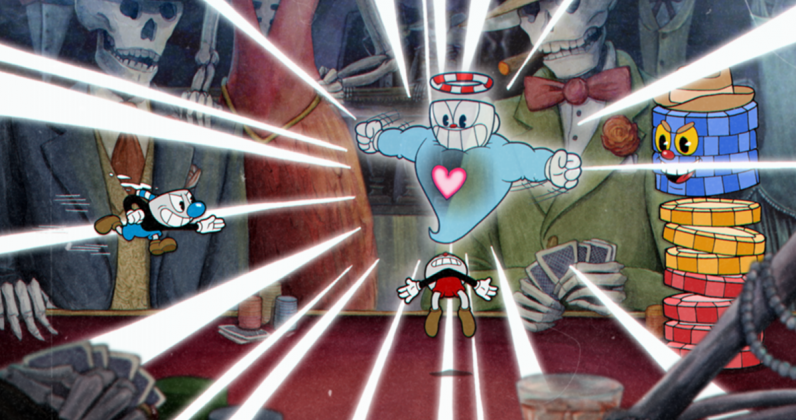 A new "Cuphead" video game is coming to the Nintendo Switch, and it says a lot about the future of Xbox. Indeed, one aspect of these rumors suggests that a number of Microsoft games will release on Switch, which has obviously been confirmed today. But this is different. "The Legend of Zelda" could imply. There's also a dog-sledding game called The Red Lantern and oh how I want to play it! Clark explained that while NecroDancer is clearly built around music, "Zelda is well known for musical compositions among games", and often contains instruments as a core mechanic of its own. You'll also be able to tune in right here on GameSpot when the time comes and watch the broadcast below.